A Scripps Ranch man was sentenced Friday to three years in prison for trying to conceal his participation in illegal drug sales by setting up bank deposits in such a way as to avoid alerting federal authorities to the amount — and source — of his illicit proceeds. The penitentiary term received by Lahkwinder Singh, 59, in federal court in San Diego is one of the longest ever imposed in the U.S. District Court’s Southern District of California for the financial crime of structuring, known in banking jargon as “smurfing,” according to prosecutors. While handing down the 36-month custody sentence to Singh, U.S. Judge Cynthia Bashant also ordered him to forfeit about $1.95 million, and directed his corporation, Lovely Singh Inc., to surrender $1 million and serve a five- year term of probation. 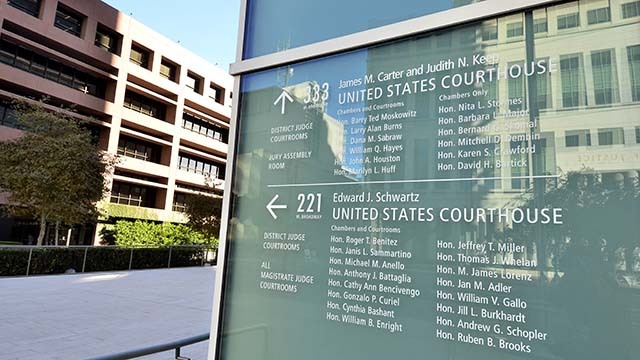 The defendant facilitated the crimes through his ownership and operation of Postal Annex franchises in Lemon Grove, a business venture that began in 2006, according to prosecutors. Singh, who was responsible for ensuring that the mail outlets complied with all U.S. financial and banking laws, instead engaged in a multi-year pattern of making cash transactions below $10,000 to avoid triggering currency- transaction reports, which financial institution must file for daily cash deposits exceeding that amount, court documents state. The law is designed to flag the government to suspicious transactions possibly linked to money laundering and other crimes. As part of a plea agreement, Singh admitted that he used his mail centers to distribute pharmaceuticals — including hydrocodone, oxycodone and Xanax — that had been smuggled into the United States from Mexico. He further conceded that he knew at the time of the offenses that there was a high probability that hundreds of packages sent from the Postal Annexes to addresses throughout the country between 2011 and 2016 contained prohibited controlled substances, and that he deliberately avoided learning exactly what the parcels contained. Singh structured or attempted to structure about $2.95 million worth of currency transactions via 469 cash deposits into at least 19 different accounts at various domestic financial institutions, including Bank of America and Wells Fargo, according to court documents. In addition to payments received for illegally shipping narcotics, the funds included Western Union money- transfer proceeds, prosecutors alleged. Bashant said Singh’s punishment should serve as a “very important deterrent” to money launderers, who similarly try to play a “shell game” of illegal transactions. “Together with our law enforcement partners, we have put a stop to this brazen scheme and kept our institutions from being exploited by criminals,” he said.